Change in color and contrast! With the Jade main theme, I’ve added scarlet and gold details. To be very color specific: jade is basically dark cyan that graduates to green as it goes brighter. On the modern color wheel, cyan’s complementary color is red while green’s complementary color is magenta. A.k.a. red + magenta = scarlet. With the jade and scarlet theme, I’ve added some gold details to soften the color contrast a little. As you can see, I’ve gone back and forth on some elements, especially the main and side menus. Which colors, how much details and textures versus simplicity, and on and on. I’m still trying to find that perfect sweet spot. 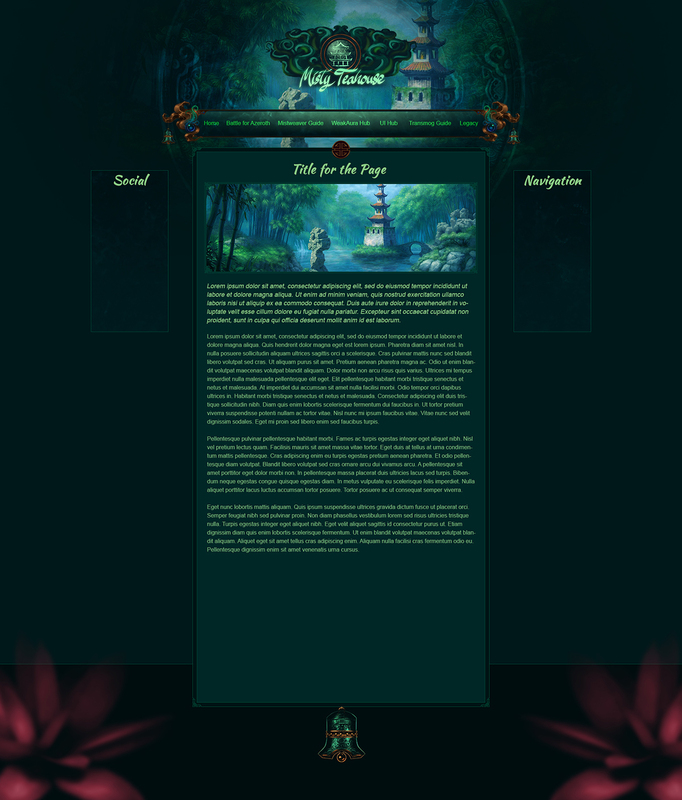 I even experimented with a Misty Teahouse logo in one attempt, but never really fell in love with it. I might revisit that idea if I get inspiration. Anyway, I hope this gave you some insight into the process. If you have any thoughts on the progress of the theme, let me know! 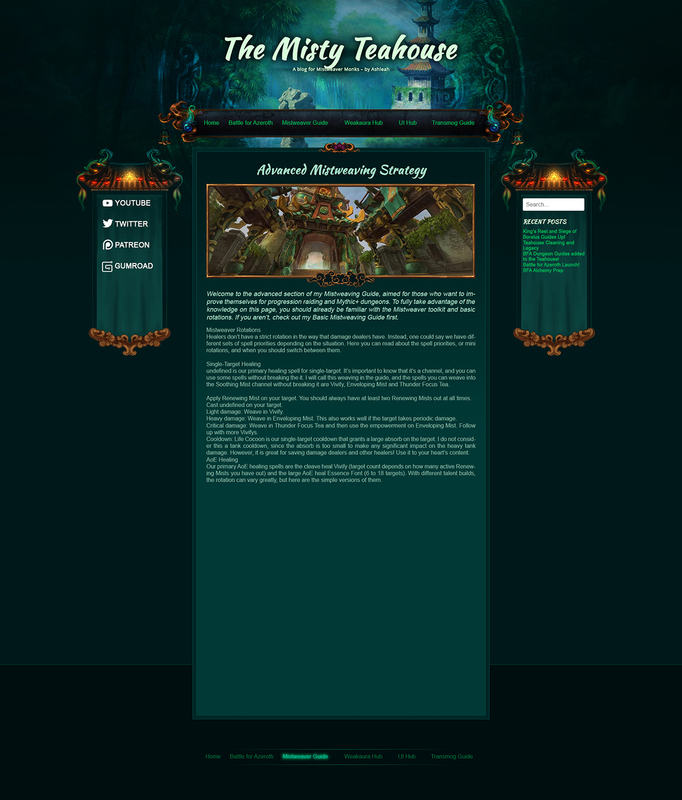 The upcomming site layout seems very cool, relaxing for the eyes, the dark red top bar + the different shades og green/jade is perfect for the MoP theme. Some pandaren style trees in each side with animated leaves slowly falling off now and then and fading away randomly could be cool too. Subtle ofc not too distracting. That’s not a bad idea. I’m still trying out new ideas to match the theme, but they often turn out too distracting, so subtlety is a big factor. I will continue my work, thanks for the encouragement! Previous Previous post: Elvui Profiles Updated!